Custom Design – Midwest Air Equipment Co. 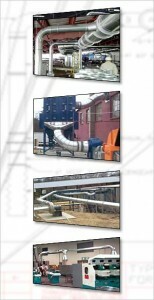 Here at Midwest Air Equipment Co., we have been providing sales and support for Nordfab Ducting for over 20 years. If you would like for us to evaluate your needs and provide a custom ducting design using Nordfab Quickfit, we are here to help. Contact Bill or Dan Dunkley today to quote your project.